Are you a PB lover? We sure are! Peanut butter is filled with healthy fats, protein, fiber, vitamins, and minerals. Two tablespoons (or one serving) are around 190 calories and will give you 8 grams of protein, 16 grams of fat, 14 percent of vitamin E, and 9 percent of vitamin B6. 2. It’s good for your heart. 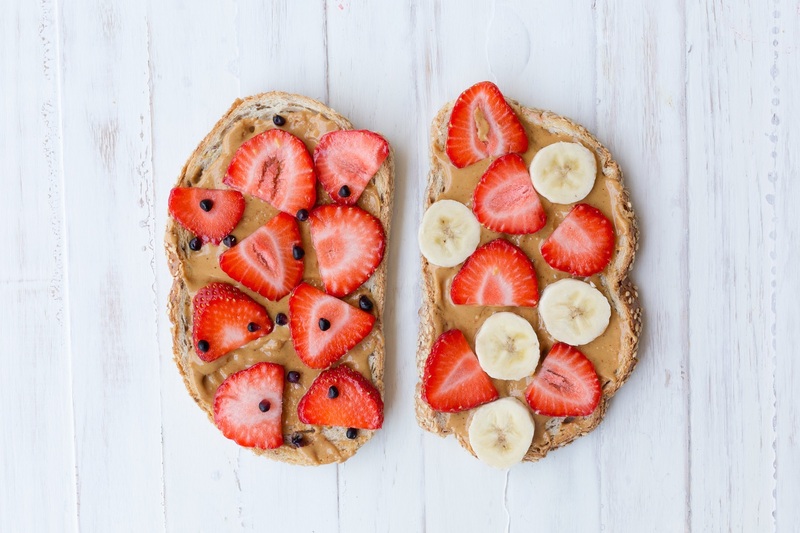 Natural peanut butter is high in monounsaturated fat, consumption of which is linked with lowered blood lipid levels and a decreased incidence of heart disease. What’s more, peanuts also contain antioxidants such as resveratrol and flavonoids, which block the absorption of cholesterol from our diet. Want to try delicious recipes to use up that PB jar? Check out this awesome Peanut Butter Banana Smoothie, perfect for rushed mornings! And don’t miss these other favorites!